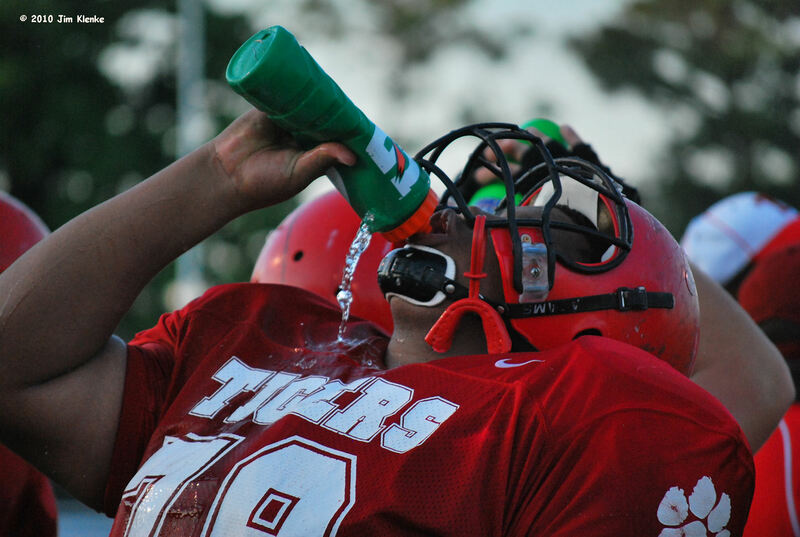 The Tigers held their Spring football game Friday in the heat. The star for the white team was QB Shea South. He rushed for 4 first half touchdowns. The star for the red team was Jherrod Stiggers who caught 2 touchdown passes for the only red scores. The white squad won 42-14. More pictures are up at the Terrell Daily Photo Facebook page.